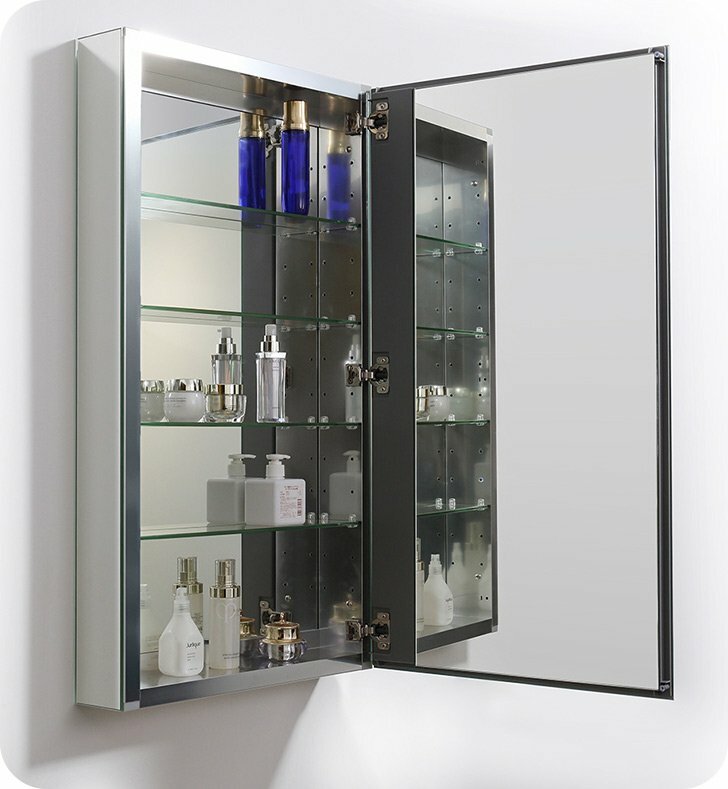 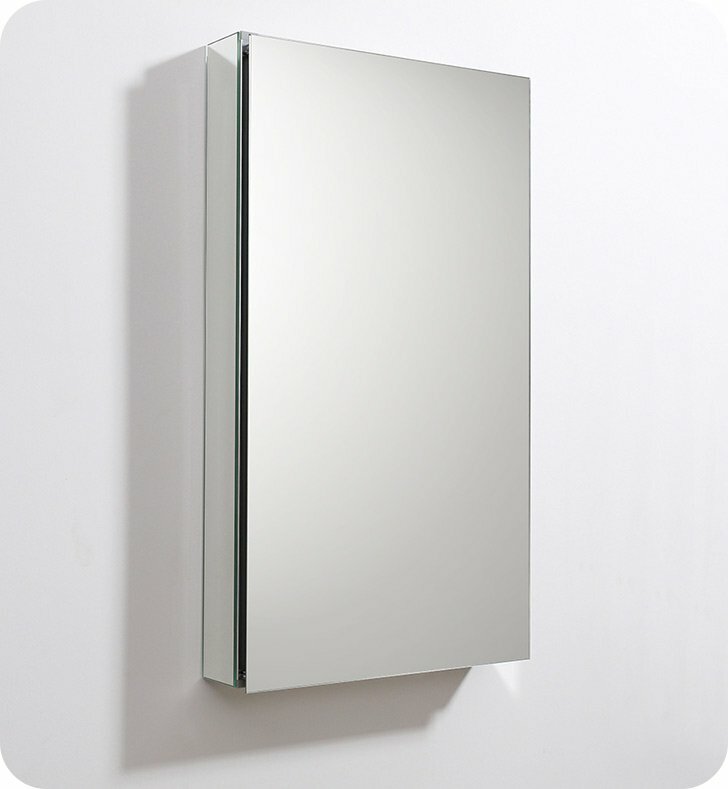 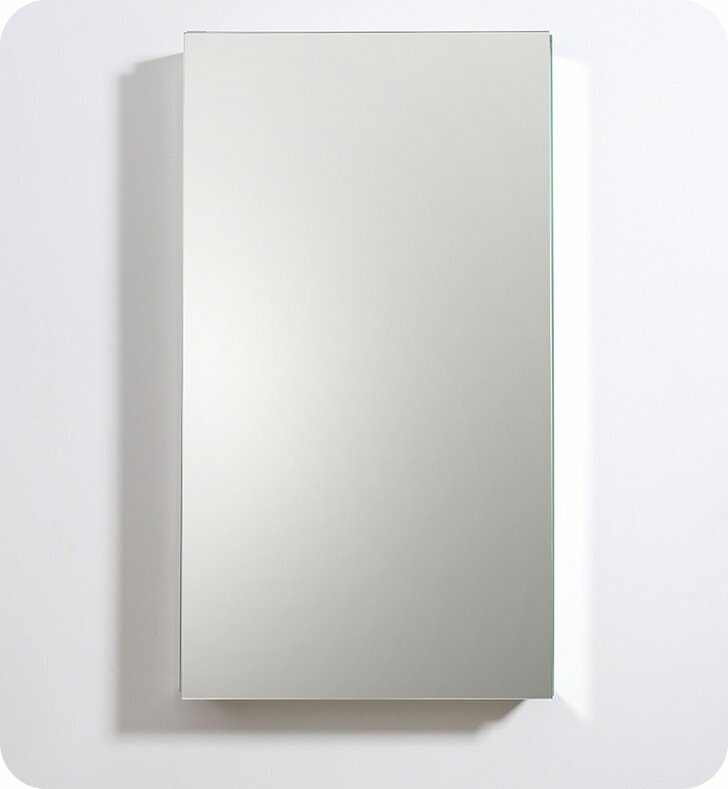 This stylish rectangular bathroom medicine cabinet has a contemporary frameless design. 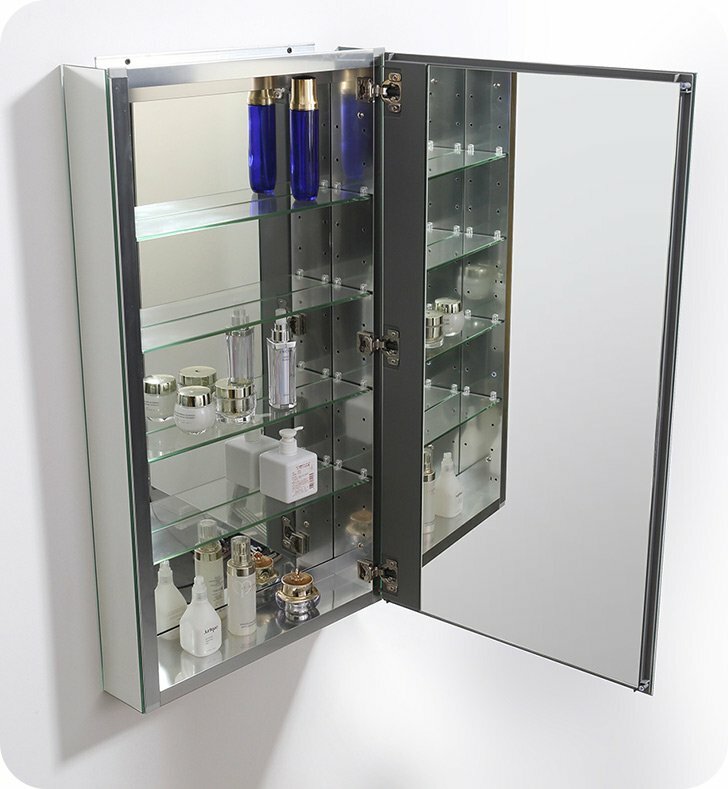 The mirrored door opens to reveal a second mirror at the back of the cabinet and four adjustable glass shelves that can accommodate items of varying heights. 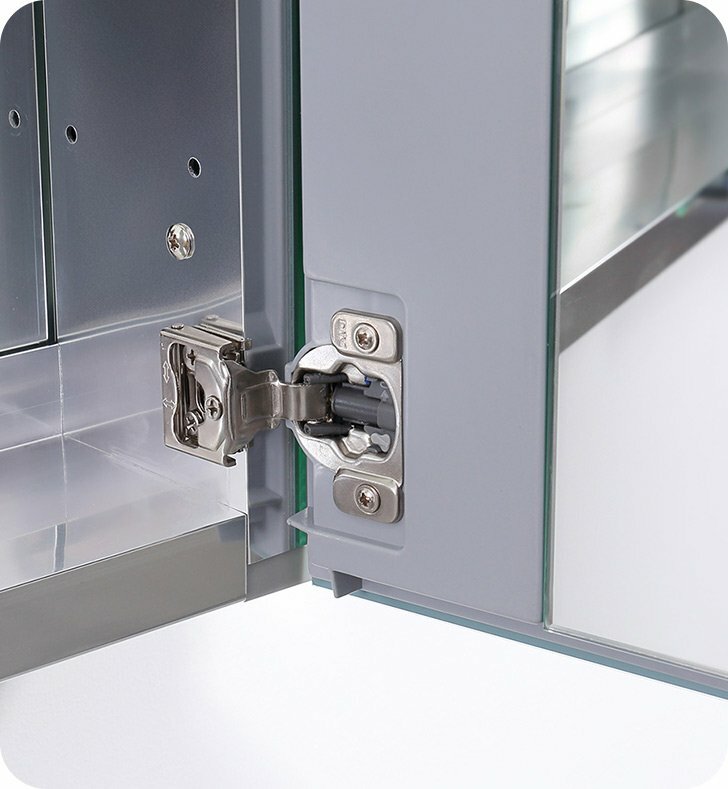 An anodized aluminum frame creates a moisture and dust resistant interior. 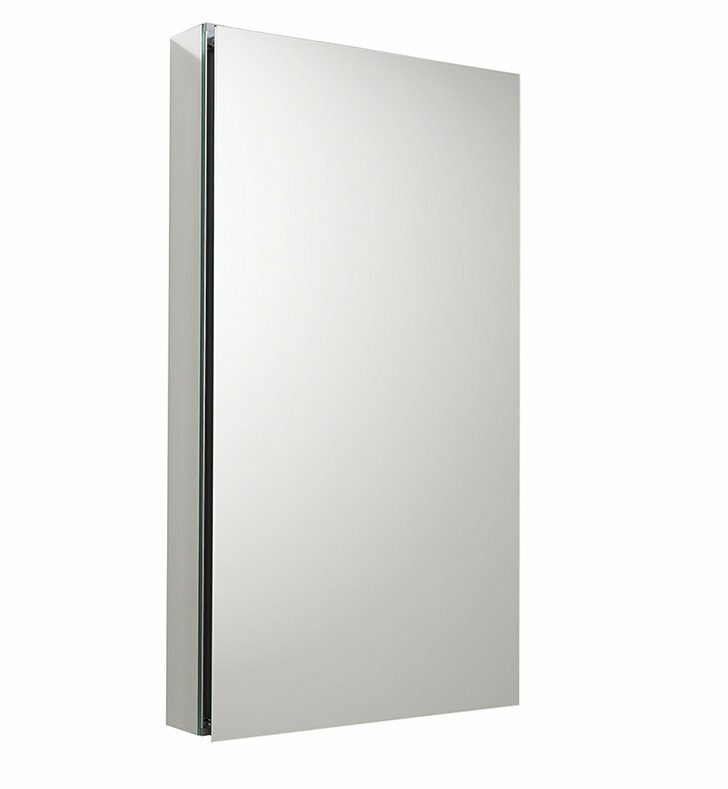 Dimensions: W 19 1/2" x H 36" x D 5"